I just finished watching a National Geographic Special, “Was Darwin Wrong?” (National Geographic Channel, Dec. 2006). Early on the special showed how fossils are aged using carbon dating and layer dating. So far so good. Next, the evolution scientists showed how a sea animal, a “sea squirt” with a single chambered heart, could have its DNA changed via an electrical shock at a specific location on the gene of a sea squirt embryo, which would cause the embryo to mature with a second functioning heart chamber. This is a rather astounding experiment which the scientists say proves that hearts actually did evolve . The scientists unanimously glowed with this “evidence” that Darwin was correct. They said that this is overwhelming proof for the TOE. Not one of them could look at this experiment with a truly objective scientist’s eye. The special did not address what happened between no hearts and fully functioning hearts, be they one, two, or four-chambered. Why? Because there is no possible explanation for that evolution. They called a single chambered heart “simple”. Sorry, but even a single-chambered heart is incredibly complex, requiring blood, vessels, an oxygenating system, nerves, a brain to operate it, etc. What could cause nothing to turn into an exceedingly complex pump system, which even a single chambered heart is? Again, a proto-heart in the process of evolving into a functioning heart would be nothing more than a tumor. Animals would have to carry gradually growing and useless proto-hearts for hundreds of thousands if not millions of years to allow the evolution of finally functioning hearts. This scenario is not even imaginable. Also ridiculous is the idea that an electrical shock of some kind (lightning?) could perfectly modify the DNA of an embryo. A shock of any kind would actually kill the embryo, and if it didn’t, it would cause catastrophic damage to the DNA which would certainly never lead to an additional perfectly formed heart chamber. Further evidence for the TOE in the special was a four-legged animal that returned to the sea and became a whale! This is so preposterous that it is truly unbelievable that intelligent people can promote this inane scenario; comical to try to imagine. The special then went to a recently discovered flat-skulled animal/fossil that was dug up in northern Canada by an evolution scientist. The researchers named it “tiktaalic”. 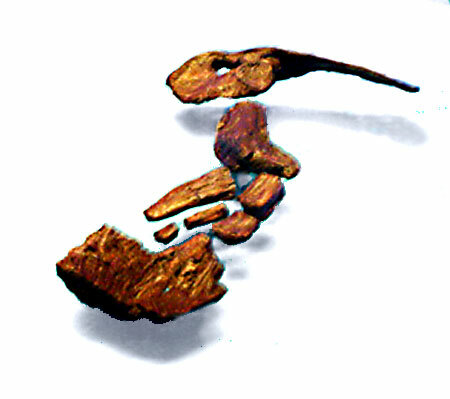 (Above left) Tiktaalic had stubby little “fore-fins” . This was shown as proof that fish grew legs to become land animals. Again, there is absolutely no proof that earlier fish morphed into this “fish-o-pod“, or that the fish-o-pod morphed into another species. Why would it take 170 years since Darwin hatched his ideas to find one fossil that supposedly displayed fish-land animal evolution? Does the center photo, which is the fore-arm of tiktaalic, look anything like a foreleg of a quadruped? It would take an incredible amount of imagination to think so. Since there are and have been trillions of land animals over the eons, there should be a plethora of fish showing the growth of proto-limbs gradually morphing into full limbs. Again, there are none. Tiktaalic also had seven or eight “digits” (fingers) on the fore leg-fins. Did it “dis-evolve” three? Scientists have also determined that it’s “leg-fins” were too short to support it out of water. The tail end of the fossil has not been found, so evolutionists don’t even know if the species had any kind of hind-fins. Of course, pictures of “tiktaalic” are painted with two hind-fins so as to make it seem like this fossil is a pre-quadruped. Amazing that they say that they have found an incredible missing transitional fossil for quadrupeds when the whole rear end is missing, and they have no idea what it looks like! This scientist found a new species, not a transitional animal. These scientists get so excited over any interesting fossil that they find. They try to bend the fossil into a great “evolution proving” piece of evidence. They hopefully think they found the MISSING LINK! If these guys found a dead seal they would celebrate the find of a great new transitional fossil! Just think what this does for the scientists’ reputation in the world of evolution. With good reason they want it to be evidence so badly that they cannot look at it objectively and scientifically. The excitement of the find, group psychology, and the possibility of fame can overwhelm all objectivity. All science should be looked at with a critical and doubting eye. TOE is the one “science” that is not. “The fish–tetrapod transition was thus seemingly quite well documented. There was a consensus that the divergence between some elpistostegalians (such as Tiktaalik or Panderichthys) and tetrapods might have occurred during the Givetian, 391–385 Myr ago. Coeval with the earliest fossil tetrapods, trackways dating to the Late Devonian were evidence for their ability to walk or crawl on shores. Sectioned ping-pong balls are used in the special to prove that eyes could evolve. The “scientist” takes a flashlight and moves it around the ping-pong balls, showing how the light reflecting through the balls also moves! This is touted as an advantage which will cause further evolution to a complete eye. This is not science. This is damaging perfectly good ping-pong balls. Also, the scientists fill a “hollow” lens, constructed using polyethylene windows, with water. The windows bulge and focus well to show how a lens could evolve. These wouldn’t even qualify as junior high science projects. And, they are so ridiculous as examples of proof of Darwinian evolution that further discussion is useless. There is more discussion on the evolution of eyes at on page 4 and 10. A quote from this NG special: “Fossil birds appear in the rocks out of nowhere.” In reality, all fossils appear out of nowhere. There are no bird fossils that show gradual growth of wings. Can’t the NG writer/scientists see that this fact alone is a Darwin killer? Answer: not even a thought. Another quote from this special: “If a single one of these (proofs for TOE) fails, the whole theory will come crashing down.” Virtually all of the “proofs” in this special, with the exception of dating of fossils, in reality, fail any objective test of evidence. NG wants Darwin to be right so badly that it can’t come close to an objective look at its own “evidence”. I didn’t see this one. Good one. Kind of like ev-illusion! What bothers me about left-wing nu-jobs like you people is nope, darwin’s wrong. and because he’s wrong that makes us right. also, about the heart? random, as in science is saying it rust f@#king happens. I am really enjoying working my way through this blog, but must say I didn’t realize you were a left-wing nu-job, Steve. Oh well, you’re still A-Okay in my book! Left wing? What would make you think that? Nu-job? What is that? Sorry, that does look like it’s from left field. The third comment from Daniel is where I got “left wing nu-job”. I ROFL when I saw it. I have nothing but respect for you, as I wouldn’t have the heart to see all the name calling directed my way. Why the opposition must resort to the names and condescension is indicative of the need for them to be right, and thus the blind faith and fingers in the ears while babbling. Ev-illusion is a faith, nothing more. Roger that. I am ANYTHING but a lefty. You you could edit the post title 8. National Geographics Special, “Was Darwin Wrong? 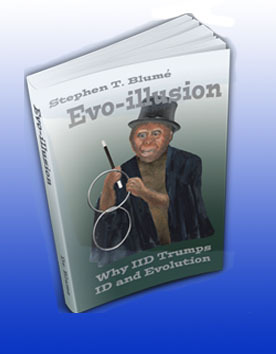 Evolution: An Objective Look to something more suited for your subject you write. I enjoyed the the writing still. This is interesting but I didn’t see the TV special. Toward the end of the article a sentence did get my attention. We know that Modern Humans suddenly appeared on Earth fully formed with a distinctly different toolkit, culture, living style and art than any of the previous bipedal hominids including still existing Neanderthal some 40,000 to 50,000 years ago. If NG scientists believe birds appear in the rocks out of nowhere, why don’t they believe Modern Humans too appeared out of nowhere…?